There are two different ways that traders study the market. We refer to these two methods as Fundamental Analysis and Technical Analysis. In this very short technical analysis introduction article, I want to help you understand the differences. So this article is a basic lesson for people who are brand new to trading. Traders with experience can perhaps skip this article as it’s likely that you are already familiar with the difference. Fundamental analysis is a term used around forums and chat rooms. It’s generally referred to as a ‘catalyst’ or a ‘trigger’ for a move. But what is it? 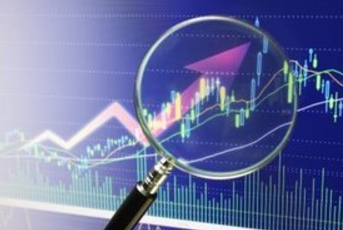 Traders who use fundamental analysis, will often use and look at many sources of information. For example, they might study the economy, the company finances for each component of the Dax, EU interest rates, EU and German government policy and political changes such as the election. They might spend more time watching the economic calendar for high profile releases such as the Markit PMI, or Inflation numbers, or manufacturing orders, unemployment numbers etc. The trader will use this information to paint a picture and from this picture they can begin to forecast where they believe price is going to move. A trader using fundamental analysis does not only focus on the price. Hint: The ZEW index can often be a very useful release to watch. When the released numbers are above expectations, it can be bullish for the Dax. The reverse is also true. Dax traders like you and me tend to be technical traders. Technical traders use technical analysis to focus on price action, or more specifically historical price action. I use historical price action every day because I want to try to understand what has been going on with the Dax. Sometimes I use technical indicators to help me with this analysis, other times I just read the price action. I enjoy speculating and forecasting movements in future price action. So the main tool of a technical trader is the chart. Fundamental traders are likely often going to take a longer-term approach to their trading. They are happy to hold a position through periods of volatility and sometimes they may go for weeks without holding anything. But holding positions on the Dax can be expensive because a typical contract costs €25 per point. How many regular traders have the capital to hold on to a 500 point move at €25 per point? Daxtrader.co.uk readers certainly tend to be more technically oriented so that’s where the focus of the next units is going to be. To wrap up this technical analysis introduction, it is just a quick overview of the two different types of analysis. In the next unit we’re going to look at Dow Theory which kind of forms the foundation of technical analysis. It will also provide some history and context which will help get you started.